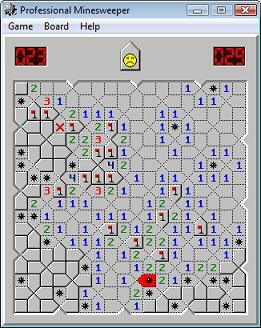 Professional Minesweeper has 18 board patterns. ProMines was the 1st version to have more than one board pattern (there were earlier Hexagon versions). You can lose on the 1st click. The Shareware version does not save Highscores.